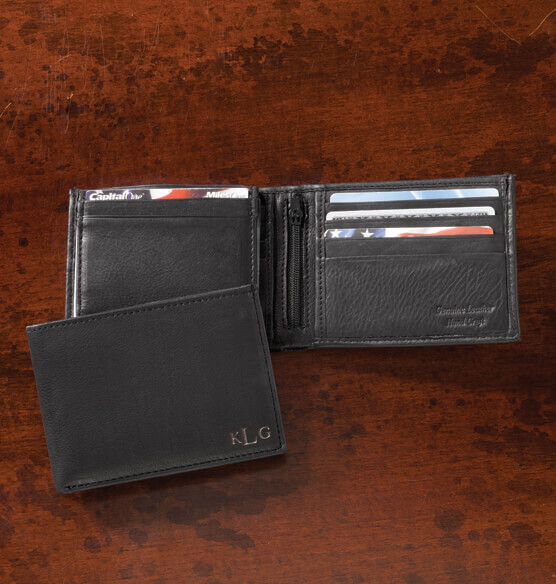 An updated take on the classic leather bifold wallet, this personalized leather bifold black wallet is designed to hold everything he needs each day. 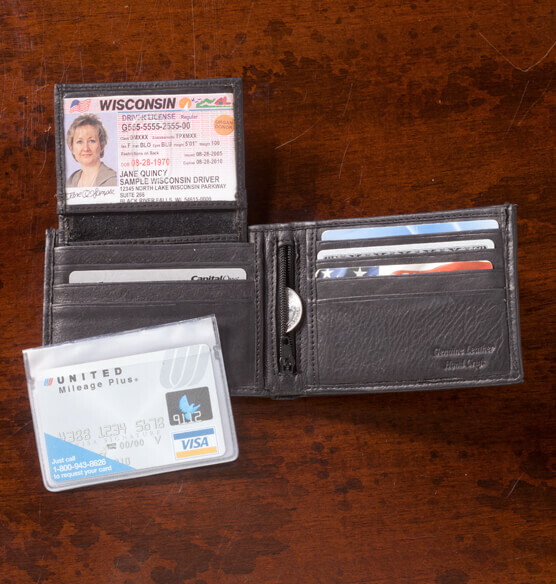 Made from genuine leather in black, the custom wallet features nine clear sleeves, six credit card slots, a clear credit card or ID slot, and a divided center compartment for cash, receipts or other important papers. Add a monogram to make a great gift idea. Traditionally, a monogram has the last name in capitol letters with the others on the sides. The directions for the monogram are not clear. Does the "middle" initial listed on the order above stand for the last name? BEST ANSWER: Thank you for your question. No, put the last name initial in the box that says, "Last Name Initial", we will put the last name initial in the middle when the item is printed. We hope this information will be of help to you. Is the middle initial for the LAST name?